Top Notch Material: Teenage Mutant Ninja Turtles: The Complete First and Second Seasons RELEASING TOMORROW! 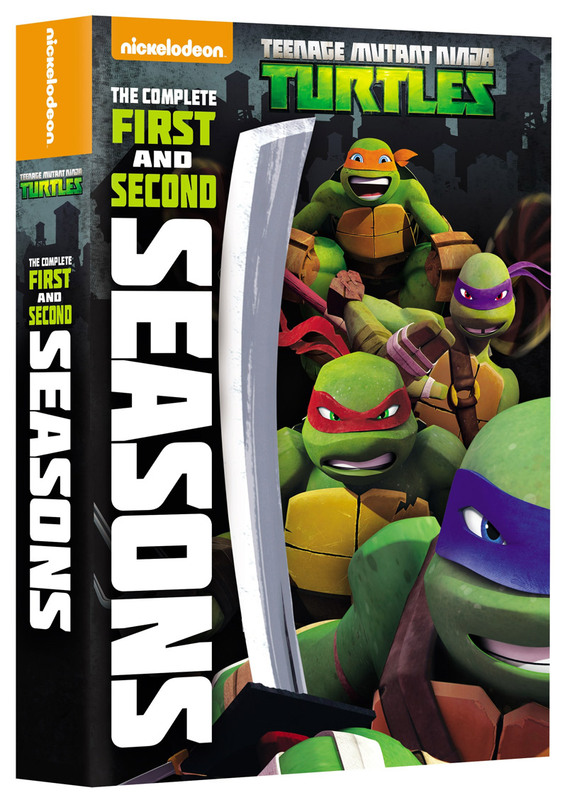 Teenage Mutant Ninja Turtles: The Complete First and Second Seasons RELEASING TOMORROW! If you have a little TMNT lover in your life, you have to have this HUGE 52 episode boxed set of all of the best TMNT episodes!! We are seriously in love with this boxed set and have spent many hours watching it! This DVD has a run time of over 24 hours...can we say holy, TMNT Marathon?!? This makes the absolute best gift for Christmas for any turtle lover and that is why I am adding it to our Christmas gift guide! Be sure to get your boxed set TOMORROW!! Cowabunga, dude! The first two seasons of Nickelodeon's fan-favorite 2012 Teenage Mutant Ninja Turtles series are now available on DVD. Teenage Mutant Ninja Turtles: The Complete First and Second Seasons contains all 52 episodes from the first two seasons of this action-packed series as well as hours of bonus features. With eight discs and over 24 hours of total turtley fun, fans can enjoy every Leonardo, Raphael, Donatello and Michelangelo moment over and over again! Created by Nickelodeon Home Entertainment and distributed by Paramount Home Media Distribution, Teenage Mutant Ninja Turtles: The Complete First and Second Seasons is available on DVD October 6 (a totally gift-able collection in time for the holidays!) for the suggested retail price of $42.99.